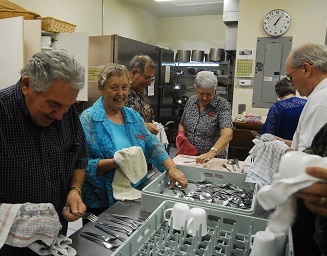 There is an abundance of fellowship opportunities at Good Shepherd just waiting for you. We have several that naturally involve food as we host many dinners, anything from a celebration of the Fourth of July, to St. Patrick's Day. There is the annual English Tea in February. We have opportunities for New Members and young families to fellowship as well. Other members use the parish for support groups such as A.A. You can see all of our upcoming activities listed on our calendar. Every Sunday, following the 8am and 10am worship services, you are invited to attend a leisurely gathering in our parish hall. With an abundance of food and beverages, it is a time to catch up, to fill up, and to charge up where friends from old and new await. 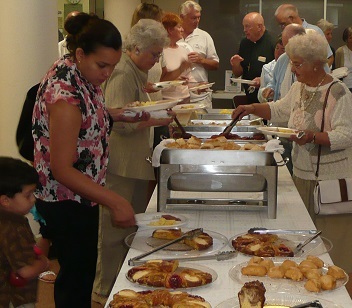 Men of the parish host a breakfast for all parishioners to attend. Hot pancakes, eggs, sausage and ham, biscuits and plenty of hospitality are served up for you to enjoy. The dates can be observed on our calendar as they are subject to change. There is no charge but we do anticipate donations to offset our expenses. We have an English Tea February each year. Watch the calendar for dates. It's a delightful English luncheon with all the trimmings, seating over three hundred people at three sittings. Our guests receive top-notch care and attention from a full wait staff dressed in black and white attire. 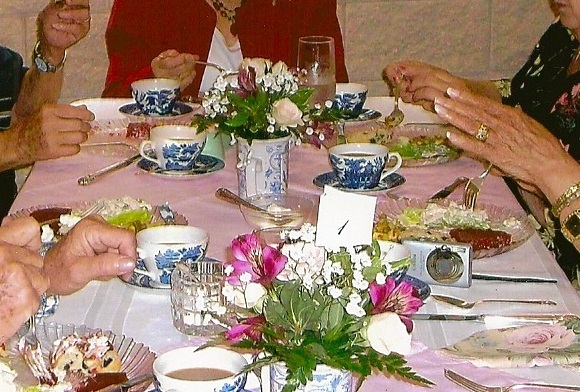 It is a great time to dress up and attend this posh example of an English tradition over Tea and goodies. Over seven thousand dollars are raised, all going to the missions of the Church. Interested in helping??? 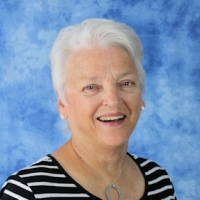 Usually in January parishioners clean out their closets and bring their precious keep-not-sakes to raise funds going towards various projects. Nearly $3,000 is raised.